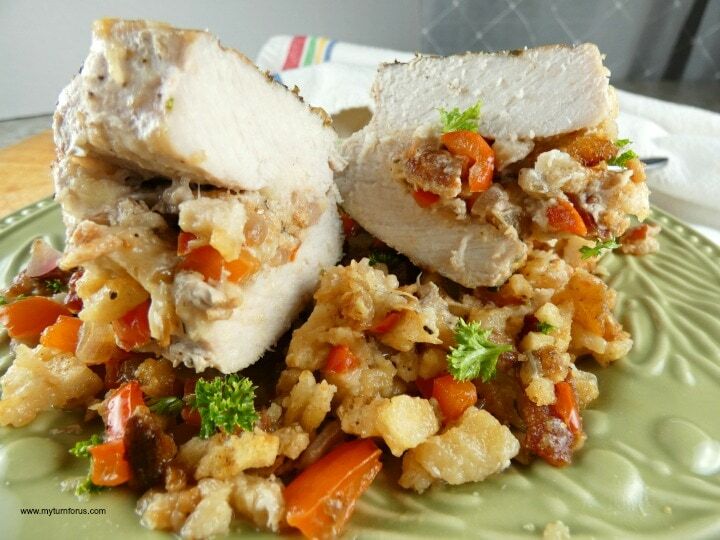 Make Lean Stuffed Butterfly Pork Chops by using this pork stuffing recipe to make the oven baked stuffed pork chops. Our Best Butterfly pork chop recipes. 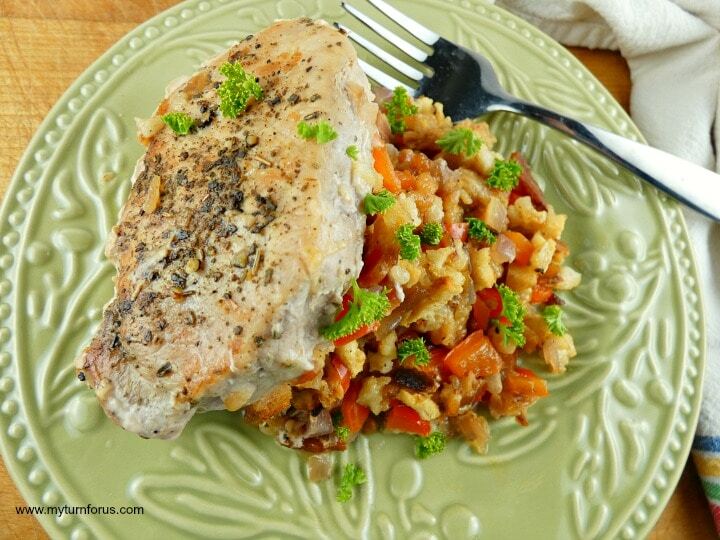 Is it really possible to make stuffed pork chops and stay on your diet? Of course, it is! 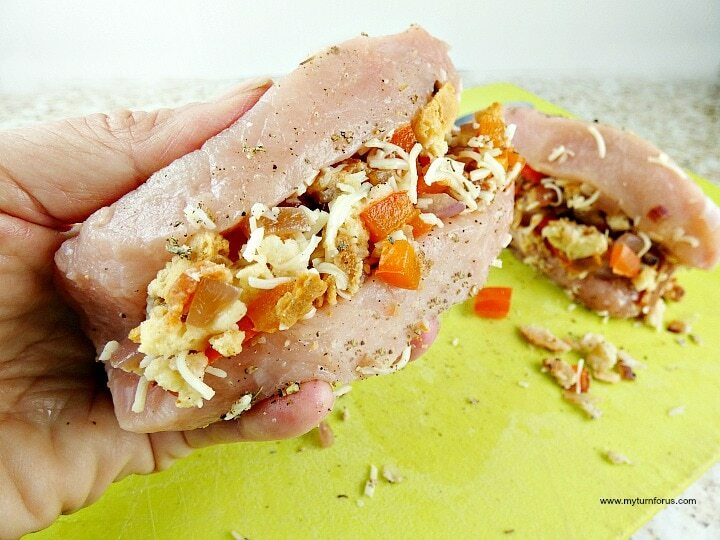 And this is how we make Leaner Stuffed Pork Chops. Stuffed Butterfly Pork Chops can really pack on the calories but stuffed pork chops are one of my favorite meals. We discovered this recipe for oven baked stuffed pork chops in our daughter’s little recipe box. It contains all those great flavors and more but with fewer calories and carbs. Our pork stuffing recipe replaces some of the heavier stuffing with veggies and adds some extra flavor. Also, we choose leaner pork chops and trimmed off the extra fat. Start your Stuffed Butterfly Pork Chops by butterflying your pork chops. Buy thick pork chops and trim off any fat around the sides of the chops. Then pierce the center of one side and then slice almost all the way through and leave a flap of meat attached. Fry 2 slices of bacon until crisp then remove and allow them to drain on a paper towel lined plate. 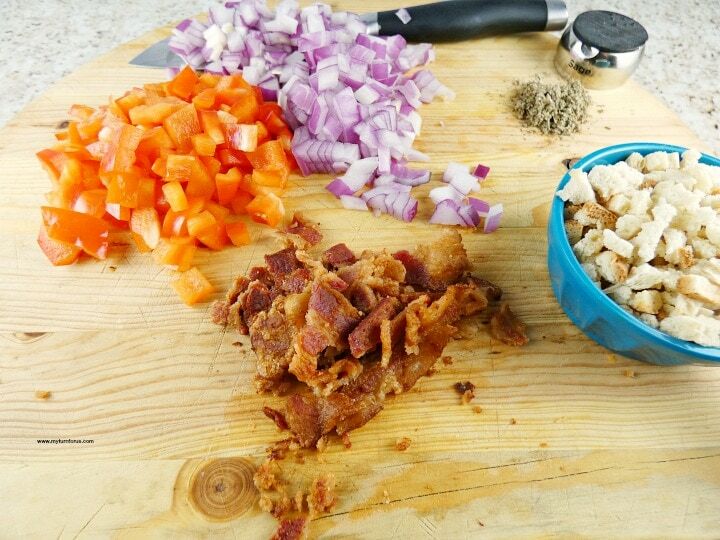 Chop the bacon, red bell pepper, and onion. Measure out other ingredients such as stuffing, sage, and low-fat grated cheese. Saute the onion and pepper in a couple tablespoons of olive oil in a small skillet until tender. Remove from heat and allow to cool. Add stuffing mix, veggies, bacon, water and cheese in a small bowl and gently stir to combine. Season pork chops with sage, salt, and pepper. Stuff pork Chops with the pork stuffing recipe mix saving the remaining. Heat a skillet on medium-high heat and spray with a cooking spray. Quickly sear both sides of the chops, remove and place in an 8 X 8 baking dish. Spoon remaining stuffing around the pork chops. 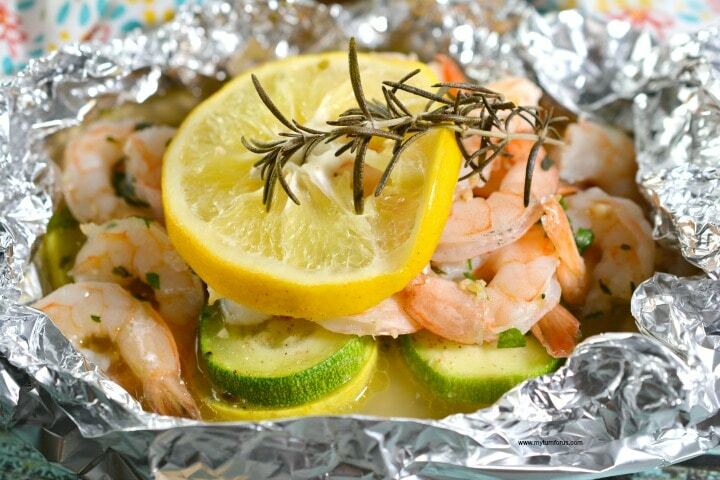 Cover with aluminum foil and bake at 350 degrees for 20 minutes. Then remove the foil and bake for an additional 20 minutes. 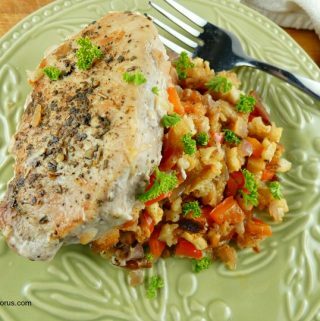 So go ahead and enjoy these Leaner Stuffed Pork Chops without all those extra carbs and guilt. Thank you, sweet daughter, for sharing this Baked Stuffed Pork Chops Recipe with me. 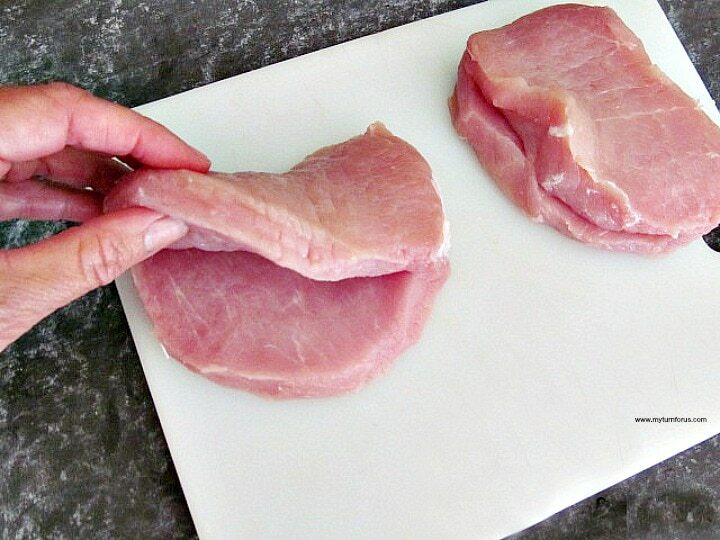 Trim the fat on the pork chops and then carefully butterfly your pork chops. (simply pierce the longer side of the pork chop and slice all the way through leaving a flap of skin attached) Or get your butcher to do it. Cook the bacon and place on paper towels to drain then chop into 1/2 pieces. Saute the chopped onion and bell pepper in olive oil until tender then remove and allow to cool to room temperature. In a medium bowl, add the cooked veggies, bacon, stuffing mix, water, cheese and mix well. Season the pork chops with sage, salt, and black pepper. Carefully stuff the chops with the stuffing mixture reserving the remaining stuffing mixture. Place the chops in a heated frying pan that has been sprayed with cooking spray to prevent sticking. Brown both sides of the chops, turning carefully to prevent the stuffing from falling out. Spray an 8 x 8 baking dish with cooking spray and place both chops in the dish and spoon in remaining stuffing around the chops. Cover with aluminum foil and bake at 350 degrees for 20 minutes, then remove foil and bake for 20 additional minutes until done. oh yum, I love the idea of stuffing these! Those look good. I remember having some similar to those at a cousin's wedding one time. Thanks for sharing the recipe at the hop! Hi Evelyn, these pork chops look so good and I bet taste great too. I saw it on domestic superhero. Thanks for shairng this pork chops recipe. I am going to try it now. 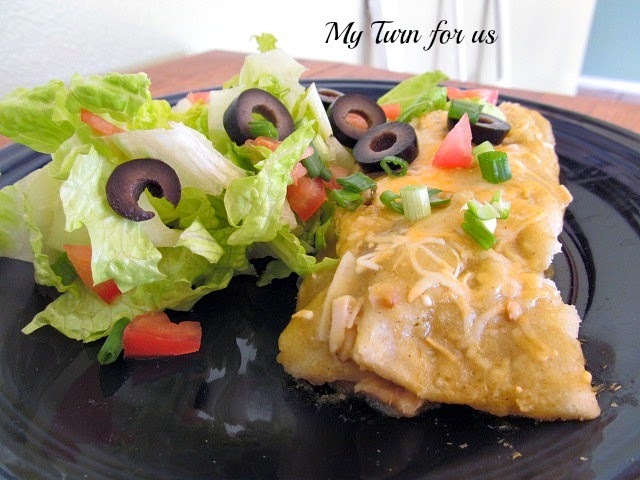 What a great way to lighten up one of your favorite meals! 🙂 Love this!